We’re talking breakfast today. A decadent breakfast. An easier-than-you-think breakfast. Eggs Benedict. A classic recipe. One of the best-known breakfast recipes out there. And while there is nothing wrong with the classic, I couldn’t help tweaking it a bit when I attempted it at home a few months ago. I posted a picture of my creation on my Instagram and Facebook accounts, and I received a bunch of requests from friends and family for the recipe. So, here ya go, guys! Here’s the thing about this recipe…it looks super impressive and tastes even better, but it really isn’t that hard to put together. You do have to justify the decadence (believe me, this is not an “everyday” kind of meal), but once you get past that, there is no going back. Everything in moderation, right? Right. For the hollandaise, I spice things up a bit by adding Sriracha. I love the stuff. I always have it in my pantry and add it to all sorts of things. 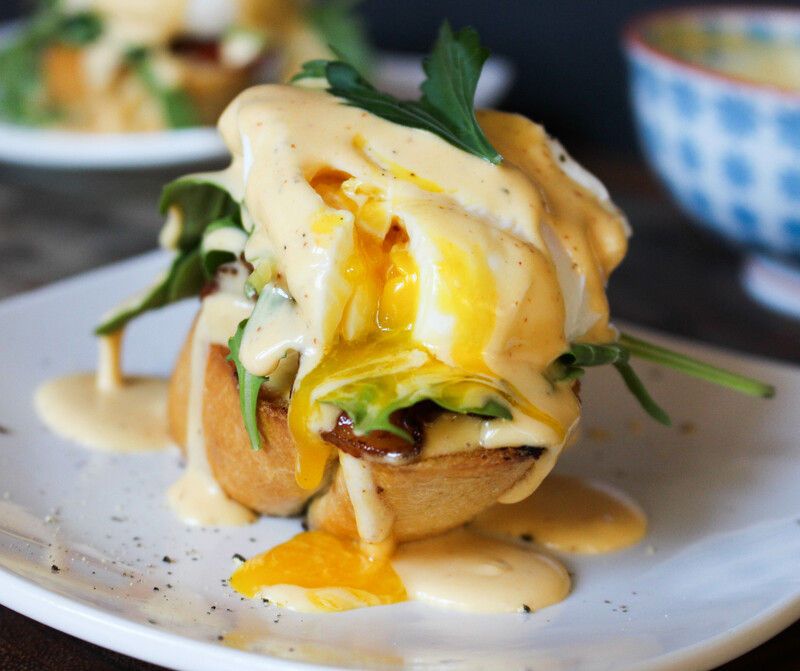 This hollandaise also strays from tradition because it is made in the blender. There is no reason on earth that I can think of that would make me want to create the sauce by hand. I mean, I’m sure there are some purists out there who would say that a blender hollandaise isn’t REALLY a hollandaise because you aren’t whisking it together by hand, but all technicalities aside, my version still tastes luscious and buttery and lemony and like all the wonderful things. I bet if you served it to one of these supposed purists, they wouldn’t know the difference. Well, they might notice the Sriracha. Hah. There is that. I also challenge tradition by using crispy baguette as the base, instead of an English muffin. Don’t get me wrong, an English muffin would be delicious too…I just have a thing for French baguette. Use whichever you prefer. Make the sauce. 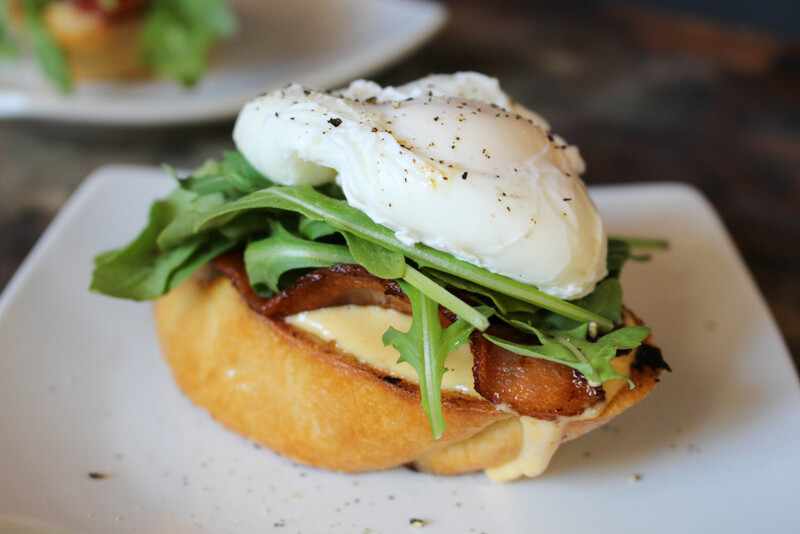 Poach some eggs. Crisp some bacon. Stack all said ingredients together on toasted bread and devour. Simple. Decadent. Totally impressive. It’s a win-win-win. Blend the egg yolks, lemon juice, and salt together in a blender until the mixture lightens in color, about 30 seconds. 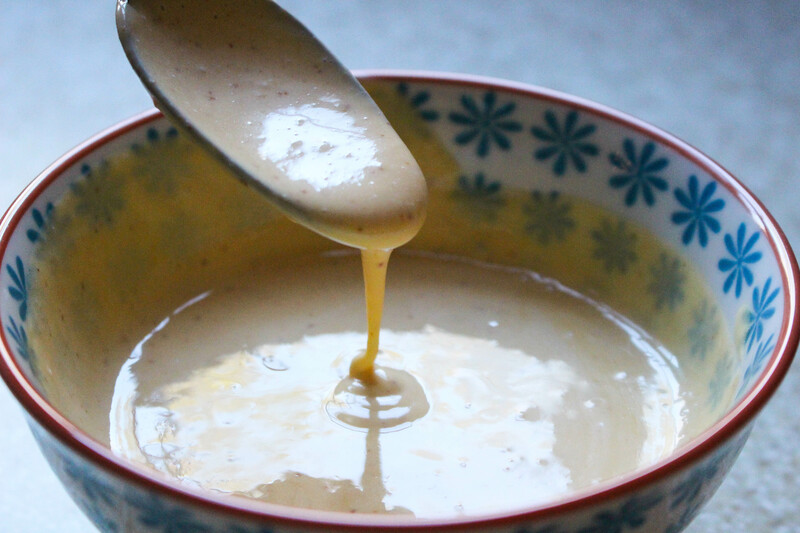 Reduce the speed to low and very slowly drizzle in the melted butter while the blender is running. Blend for 20-30 seconds. It should be slightly thick and a light yellow color. Turn off the blender and add the Sriracha. Blend again until incorporated and then taste the sauce for seasoning. Adjust as necessary. Keep the sauce at room temperature until ready to serve. It should be used within an hour or so after making. Heat the oven to 350°F. Drizzle the baguette slices with olive oil and place on a baking sheet. Bake for 10 minutes, or until starting to crisp around the edges and turning golden brown. Keep warm until ready to serve. To poach the eggs, bring 2-3 inches of water to a gentle simmer in a shallow pan. Pour 1 tablespoon white vinegar into the water and stir to combine. Add the eggs to the pan one at a time: crack each into a small cup, then hold the cup near the surface of the water and gently drop the egg into the water. With a spoon, gently push the egg whites around the yolk. Continue with remaining eggs. Turn off the heat and cover the pan. Let sit for 3 minutes and then remove the eggs with a slotted spoon. I place them on a plate lined with paper towels just to get rid of the excess moisture. Place a toasted baguette slice on each plate and drizzle the bread with some of the hollandaise sauce. Top with the arugula, bacon, a poached egg, and another drizzle of sauce. Garnish with fresh herbs and serve. Hollandaise is considered a raw sauce. While the warm butter DOES cook the egg yolks slightly, it still is considered raw. If this is an issue for you, you can try whisking the mixture together in a double boiler over VERY LOW HEAT until the eggs reach a safe temperature, but I have never tried this and cannot vouch for the results. When making raw egg dishes, make sure you are using the freshest product available. Pasteurized eggs also are a safe bet. 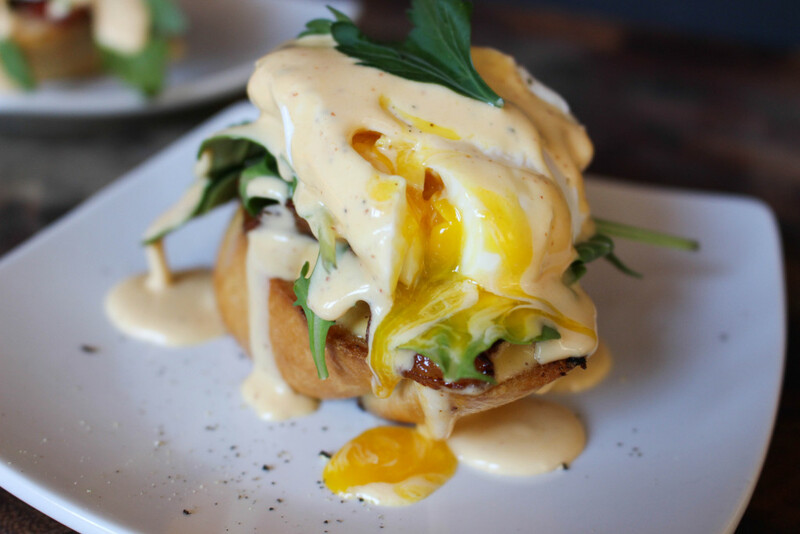 eggs benedict is my all-time favorite brunch order, and this versions sounds INCREDIBLE. Beautiful pictures and the touch of sriracha is just genius – Pinned! Thanks so much, Christine! It is sooooooOOOOoooo good! 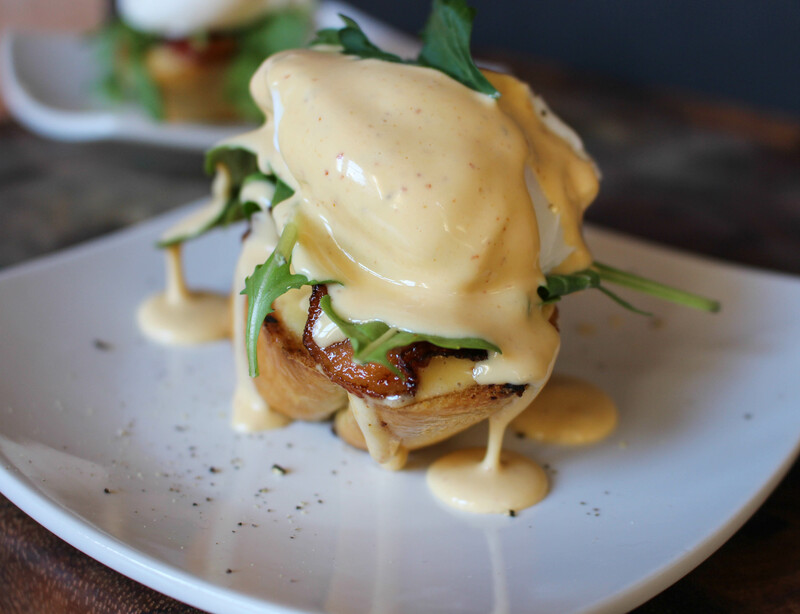 I love eggs benny, and this was just a fun twist to try at home. It exceeded my expectations! If you try it, let me know! long time to find it in google. I found it on 16 spot, you should focus on quality backlinks building, it will help you to rank to google top 10.
nastrojowymi, jeśli kalkulują że zacięcie się na nie doniesie im przeznaczoną przewaga. Istnieją okropnie zdradliwe także jeśliby tak obecne potrafię ująć – nieporuszone.